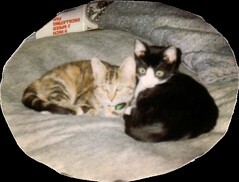 I have a terrible memory (it’s part of why I keep a blog—so I can look back and see when things happened) but I know that I got Latte and Mustapha sometime in 1994, probably in the summer or fall. A few years ago, when it was becoming obvious that Latte was getting pretty old and that each extra year was going to be something special, I arbitrarily decided that her birthday was September 1. 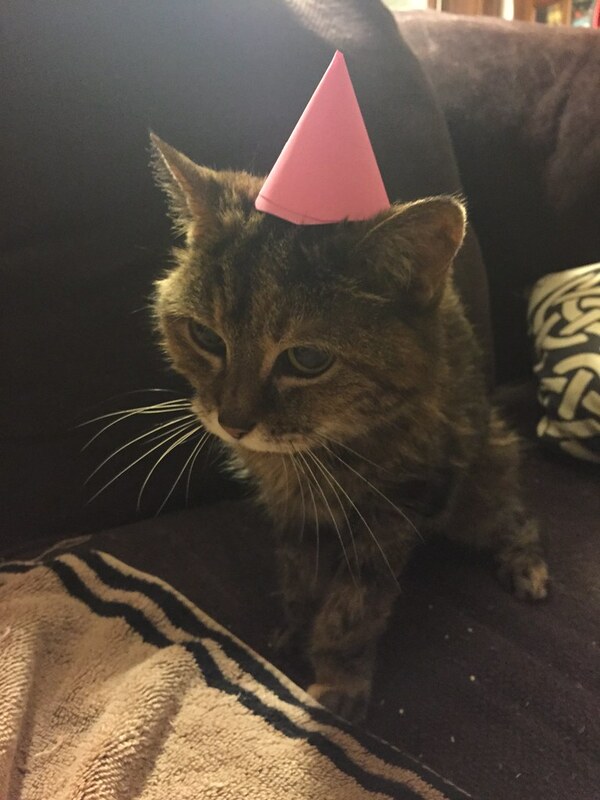 Well, this is Latte’s 21st birthday. We plan on taking her out to bars and getting her wasted.